You can choose from a variety of styles in domestic and exotic looks in Mannington Laminate's Coordinations collection. This affordable mid-priced collection has traditional, rustic, and unique styles that look realistic and come with a 25-year residential warranty and a 5-year light commercial warranty. Mannington laminates have low VOC's which make them healthier for you and your home. Coordinations has a click installation that allows you to easily click your floors into place. Your laminate will stay tight and secure and the click method will save installation time. This is another area that Mannington Laminate allows you to save money on your new flooring. The maintenance for laminate is easy and the aluminum oxide in the finish makes it resistant to dirt and dust. 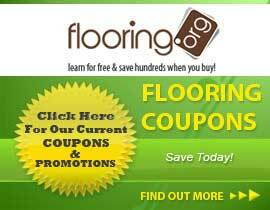 Flooring.org has discount prices on all floors and Mannington Laminate is no exception! Coordinations is an economical floor with options and style. Choose your new flooring from this collection and rest assured knowing that you are getting an award-winning floor that will last for many years and look great. Shop our store today for these laminates and save.